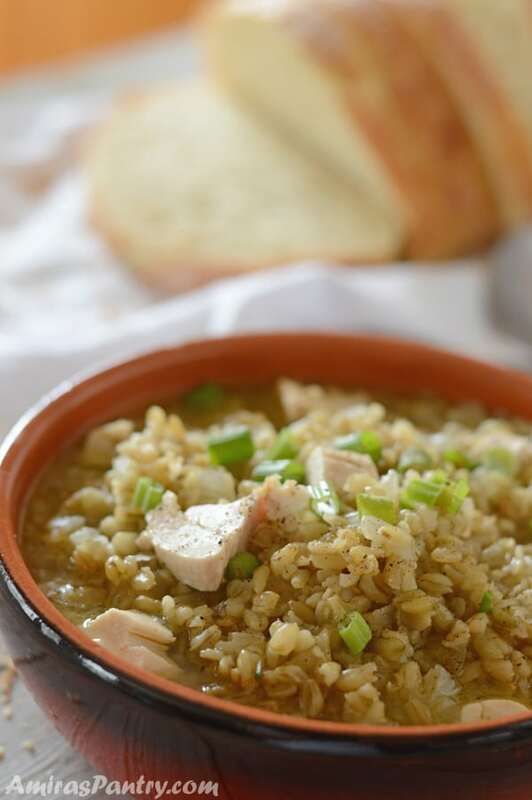 Uniquely smoking aroma and a nutty, roasted taste,this is what you’ll get with every spoon of this healthy freekeh soup. You promise yourself every January that this will be the year you’ll get in shape, exercise and eat healthy. But by February jumping on a treadmill and making healthy dinners at home seems like a chore!!!! Does this sound familiar? To help you- and myself- get a head start on your resolutions, I am introducing this ancient Middle Eastern whole grain, that is packed with nutrients, and it seems to be the new darling for many nutritionists. Freeka is made by harvesting young, green wheat then roasting them, which gives a very nice flavor to every grain. It is common in Egypt, Lebanon, Syria, Palestine and Jordan. This delicious soup, I have got from a Palestinian friend who likes to add some veggies to it too but I’ve just made it plain this time. 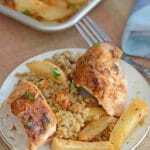 In Egypt, it is very common to make a freekeh pilaf and also make stuffed chicken with it, comes out so delicious and gives chicken a new dimension. In this soup I’ve used whole freekah but you can pulse them a little in your food processor, as my friend does. Somehow I wanted to taste the whole thing and enjoy its full flavor so I went with the whole freekah. You can use any kind of stock you like, here I have used chicken stock. I’ve got the Freekeh from the Middle Eastern market, but I have heard that Whole Foods market, other health store , Ross department store and Costco sell them in bulk. You can find it in amazon too. I do hope that you’ll try it and tell me what do you think? For all my readers and fellow bloggers, I hope this year will have only good news and happiness and that all your dreams come true. Enjoy the rest of the week. 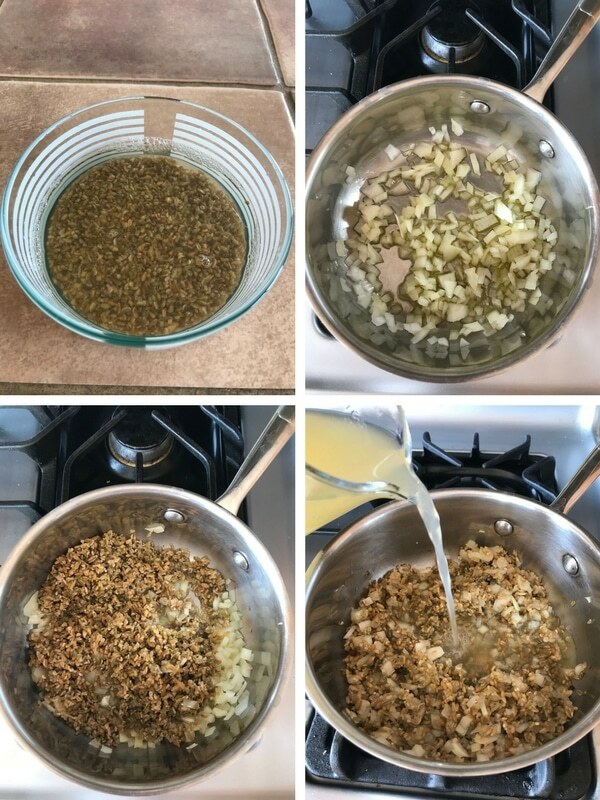 Wash freekeh thoroughly and soak in water for 15 minutes. In a pot add oil and saute onions until fragrant, add freekeh and roast for 3 more minutes. Now pour the stock and bring to a boil. Adjust salt and pepper to your linking. 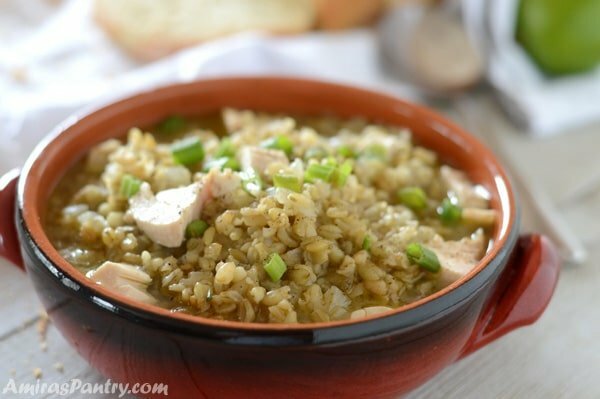 Reduce heat and let it cook until freekeh is tender for about 25 minutes. 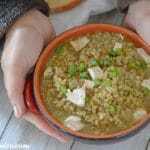 Here, have a bowl or two or may be three of this delicious freekeh soup and feel good about yourself. 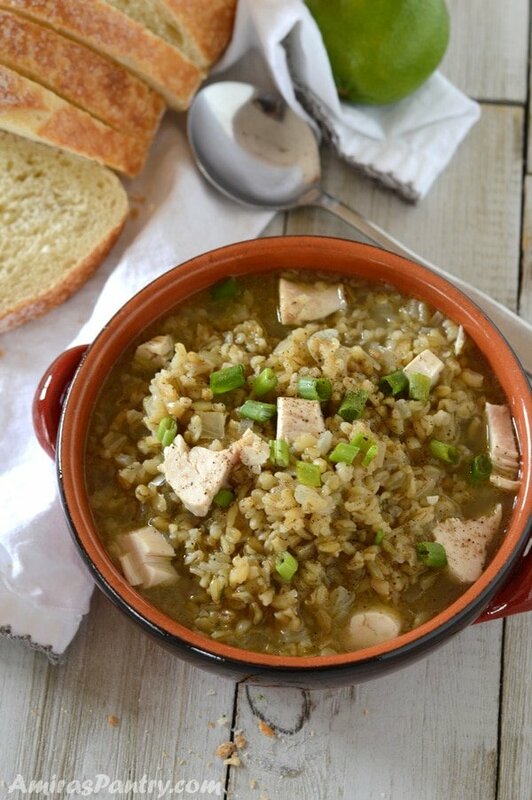 You can add vegetables, diced cooked chicken for more of a whole meal soup. You can also bring the calories down by using half water half stock liquid. 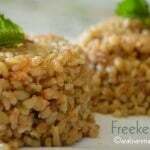 Freekeh is an ancient grain from the Middle East that is so healthy and nutritious. 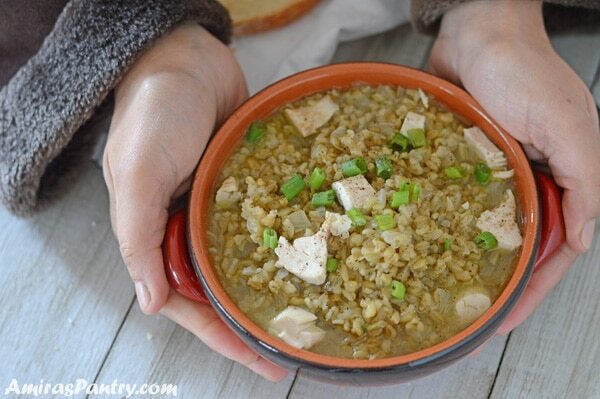 Freekeh soup is great for those cold winter days. It's filling and flavorful, light and easy to prepare. 1 cup of freeka . 4-5 cups of chicken broth. Wash freakeh thoroughly and soak in water for 10-15 minutes. In a medium sauce pan or pot, sauce onions in olive oil over medium-high heat until fragrant for almost 2 minutes. Drain freakeh and add to the pan. Stir to roast freakeh for about 3 more minutes. Reduce heat and simmer for 20 more minutes until freaked is tender. * You can also add some vegetables to the soup like carrots, beans, peas. You might also add cooked, diced chicken to the soup in the last 5 minutes to have it as a complete meal.